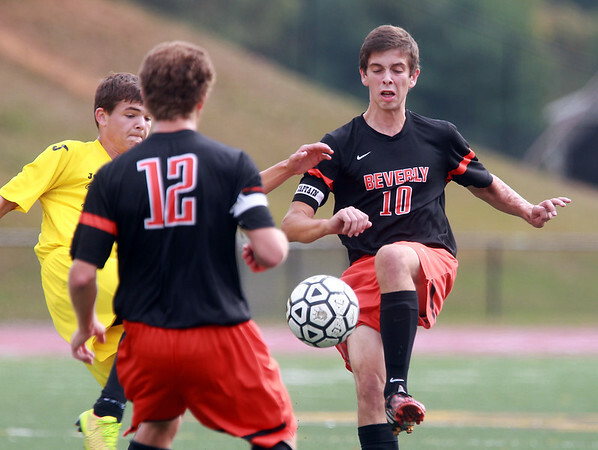 Beverly senior captain Savio Polini (10) makes a play on a 50/50 ball as a Bishop Fenwick opponent closes in. DAVID LE/Staff photo. 10/13/14.